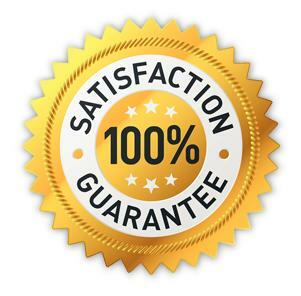 We hope that you are 100% satisfied with your order. However, if for any reason you are not completely happy, you may return any item in its original condition and packaging for a full refund of the cost of the product. This is provided that you tell us within 14 days following the date of receipt of your order that you intend to return the item. Please note for hygiene reasons we cannot accept returns on products that have been used. If, in the unlikely event, the items you have received do not match those contained in your delivery, please notify us immediately by emailing us at info@illummi.com. Our Customer Care Team will advise you of the process to rectify this. Please contact us within 14 days following the date of receipt of your order of any problems with your order. We understand that sometimes you may change your mind on an item you have ordered. Provided that you contact us within 14 days following the date of receipt of your order we are happy to provide a refund for products providing that they are unopened, unused and in the original packaging. If you return items for reasons other than defects in the goods, or incomplete or incorrect delivery, you will be required to arrange and pay for the return of the items to us. The original delivery charge will be non-refundable. We strongly recommend that you obtain a certificate of posting when you return your parcel. These are available free of charge at the post office. All returned goods will be examined upon receipt. For reasons of hygiene we are unable to offer refunds, replacements or exchanges on any opened or used goods. In such circumstances, we will notify you that no refund, replacement or exchange will be available and you will be responsible for arranging and paying for such goods to be returned to you within 28 days of our notification. We will process a refund within 14 days of receiving the products back at our Head Office. I’ve received a damaged or faulty item: If you have received a damaged item in your order please contact our Customer Care team in the first instance. If the damaged or faulty item was the only item included in your order, we will refund the cost of the item as well as the original postage charge. (Please follow our Returns Procedure). Our Customer Care Team may look to resolve this issue by requesting a photograph of the damaged item. • By Paypal – we’ll refund your money back onto the same Paypal account. Refunds typically take 3–5 working days to show on your account. If your item was purchased at an offer price, your refund will be based on that promotional price. Please also note that if you bought your items as part of a promotion, we’ll always give you a refund that matches the amount you paid for the item.